Pei-Chun Tsai of Tainan, Taiwan, began her musical studies at the age of four, and made her solo debut in Carnegie Weill Recital Hall in 1997. She holds the first prize in the 1990 and 1992 Taiwan National Violin Competition, and was also a three time first-prize winner of the Tainan Violin Competition. 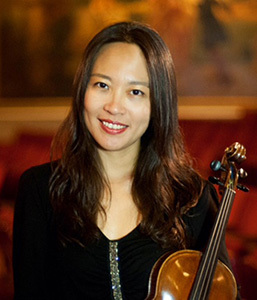 She has performed as a soloist and a chamber musician in Paul Recital Hall, Alice Tully Hall at Lincoln Center and the National Concert Hall in Taiwan. Following their 1994 debut at the Carnegie Weill Recital Hall, she has toured with The Muse Piano Quartet in Taiwan with the sponsorship of the Formosa Chamber Music Society. Pei-Chun has participated in the Alfred, Encore, Yellow Barn, and Taos summer music festivals in the United States as well as the Holland Music Session in Amsterdam. In addition to her performing career, Pei-Chun is a devoted teacher- she holds a Suzuki Teaching Certificate from the School for Strings. As a scholarship recipient of The Julliard School, she was on the faculty of the Ear Training Department in Juilliard pre-college division. She has been on the teaching faculties of the Lucy Moses School, Suzuki on the Island and was the founder of the Suzuki program at Resurrection Episcopal Day School in Manhattan. 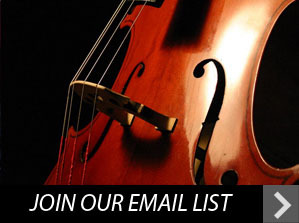 She has been a member of the San Diego Symphony since 2006 and plays on a 1910 violin by Alfredo Contino.